This was posted to facebook today, and it’s worth its own blog post. Enjoy! Curious about Massachusetts’ cannabis legalization? Below is a Q&A published on WBUR, via Somerville’s Mayor Joe Curtatone. 1) We are a workplace, and smoking is prohibited. Open flames void our insurance. Please be considerate, and don’t wreck our business! 2) Floating is safe, but water and impairment aren’t a good combo. If our staff doubts that you are coherent enough to keep yourself safe, they will check on you, and deny you service if necessary. This is the same as our alcohol standard. 3) Keep in mind that you need to be together enough to recognize our ending signal, and get yourself out and showered in a reasonable amount of time. Please be responsible for yourself. Mayor Joe says: Just so people have correct information, here’s a Q&A about how marijuana legalization is taking effect today in Massachusetts. I’ll add that you can’t go walking down the streets smoking a jay any more than you can stroll around with an open container of beer. I suggest people understand what is legal and how that works so that you don’t run into any unnecessary legal trouble. 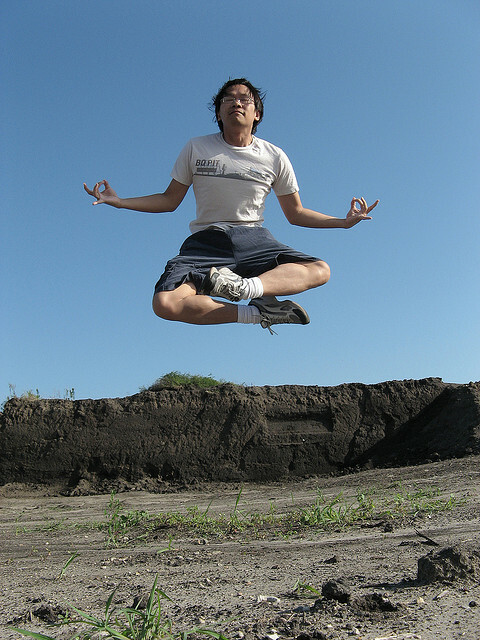 Many people compare floating to the relaxation available from meditation or yoga. In quick simple terms, I found floating to be the exact opposite of these two techniques. In floating, the mind follows the body. In yoga and meditation, the body follows the mind. I also experienced a marked difference in the type of “quiet mind” that the other two techniques produce. Having said that, once familiar with the experience of floating, even when going back to meditation it became easier to “get there” and easier to “stay there”.